Vans Warped Tour founder Kevin Lyman revealed on Twitter this morning that he has been hospitalized. While an official reason for his visit has yet to be determined, Lyman shared his view from a hospital bed on Twitter this morning. He captioned the photo, "37 years of hard charging in the music business and it to [sic] only two weeks of teaching to put me in the hospital. Seriously take care of yourselves we are not invincible!" 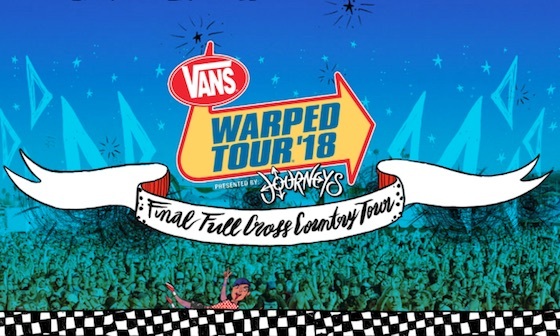 Lyman recently put a wrap on the final edition of the Vans Warped Tour, which featured 3Oh!3, Knuckle Puck, Mayday Parade, Reel Big Fish, State Champs, Sum 41, Less Than Jake, the Used, Taking Back Sunday, Chelsea Grin, Silverstein, Every Time I Die and many more. The final Warped Tour was also filmed for a forthcoming documentary series.